I look at my kids and feel like a slouch. Great grades, common sense, involved in the community, incredibly kind and gracious. Oh. Let’s not forget funny. If they weren’t my kids, I’d hate them. It reminds me of the bumper sticker: “My kid can beat up your honor roll student”. Rote memorization was never my forte. Now if it came to strategic thinking, I could do well. Though my slight ADD prevents laser-like focus for long periods of time, my atom colliding gray matter allows me to look at problems and identify opportunities from a thousand different directions at once…and it does not require the use of drugs. Yesterday, I was helping a catering conference organizer find speakers for her SoCal event. By the end of our fifteen minute call, she had dropped the idea of speakers and embraced my assessment of going in a totally different direction for the event; thus making it easier to market and profit from. So how did I accidentally sell a million dollars’ worth of catering? Last week I was in Baltimore for a catering seminar I put on with Frank D’Antona of Cantina Mamma Lucia. 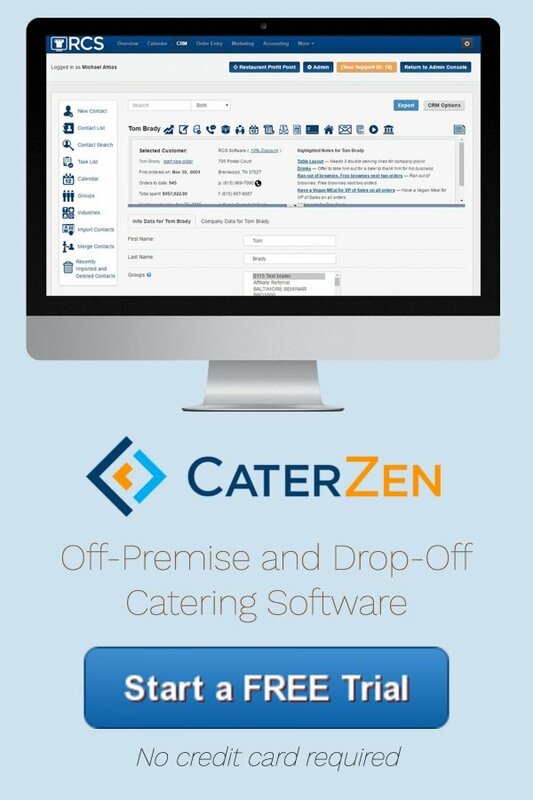 We had a packed house with Restaurant Catering Software clients and non-clients. The group was super-engaged the whole day. Whatever is happening on accident, can happen on purpose multiplied. In other words, if you are catering a particular type of event or to a particular group of people without any marketing whatsoever, then imagine what you could do with laser-like focus and action on purpose. I first opened my restaurant in October of 1992. It’s crazy that it was that long ago. What’s crazier is that my daughter Jordyn is a hostess there this summer. Anyway, the first year in business on the day after Thanksgiving, we received a large drop-off catering order for around two hundred people from Dillard’s department store. At the time, I had never heard the term Black Friday. I’m not a shopper; rather a buyer. Out of curiosity, and let me tell you I am very curious, I called Dillard’s to inquire of the nature of such a large order. I was educated to the fact an entire day was manufactured by someone other than Hallmark to give consumers a reason to shop en masse. So the next year I literally drove around the five main shopping malls/centers in Nashville and hand wrote a list of all the major big box retailers. I then used this old fashioned contraption called The Yellow Pages to build my first database. I even called each one to get the name of the decision maker. Who’d I ask for? The head of HR. Why? Because my contact at Dillard’s told me who to target. That second year I mailed forty-five retailers and followed up the letters with phone calls. When the dust settled, our POS system earned $6,000 in drop-off catering sales for the day, and I earned the respect and admiration of my management team…all without renting a list or having Al Gore’s internet for research. 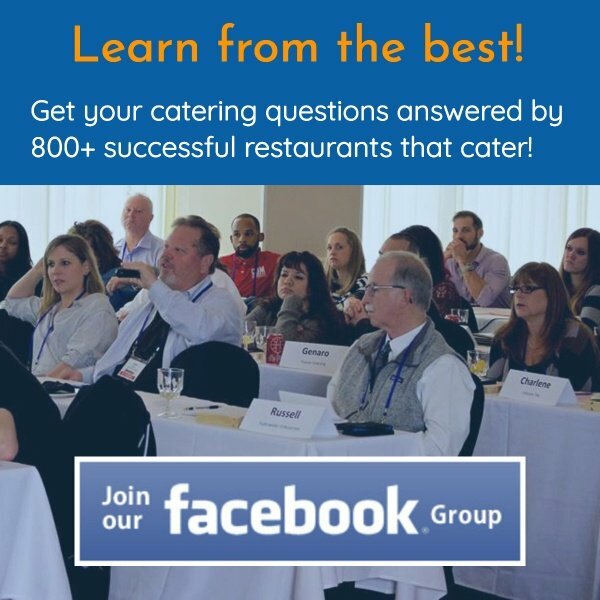 Niche after catering niche was identified by paying attention to what type of catering business graced our doors: teacher’s in-service, Hospital Week, teacher’s appreciation, sports banquets, golf tournaments, high school graduation parties, rehearsal dinners, etc., etc. It’s because of my willingness to pay attention to the niche catering opportunities around me, that I was able to sell a million dollars a year in catering. And let’s not forget the ability to take action. Just about every single marketing success in my life involved niche marketing. Take off the blinders and start profiting from the power of the catering niches in front of you.